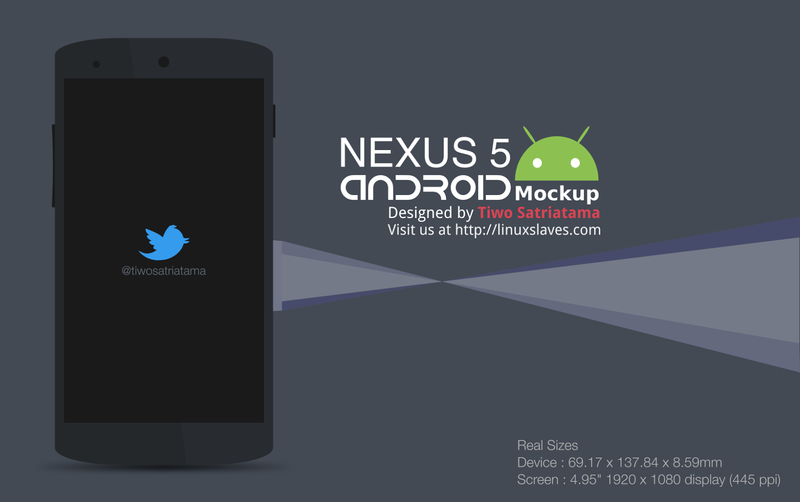 Download Google Nexus 5 Mockup Template - Today I want to share a nexus 5 mockup designed by me using inkscape on Ubuntu. You can download and modify yourself for get better view. Almost of we know, mockup is a things can improve the design. Mockup is a scale or full-size model of a design or device, used for teaching, demonstration, design evaluation, promotion, and other purposes. A mockup is a prototype if it provides at least part of the functionality of a system and enables testing of a design. There's note to make the device and screen in real size. I'm placed part of the object in diferent layer (screen, case, background, etc) so it will be easily. Hope like and enjoyed the design! So that's all I can share about Free Download Nexus 5 Mockup SVG. Share thi if you like the post! Hope you've enjoyed reading this tutorial as much I’ve enjoyed writing it. Thanks for visiting us.